The storm is in the Southwest Tuesday morning and will soon head east. 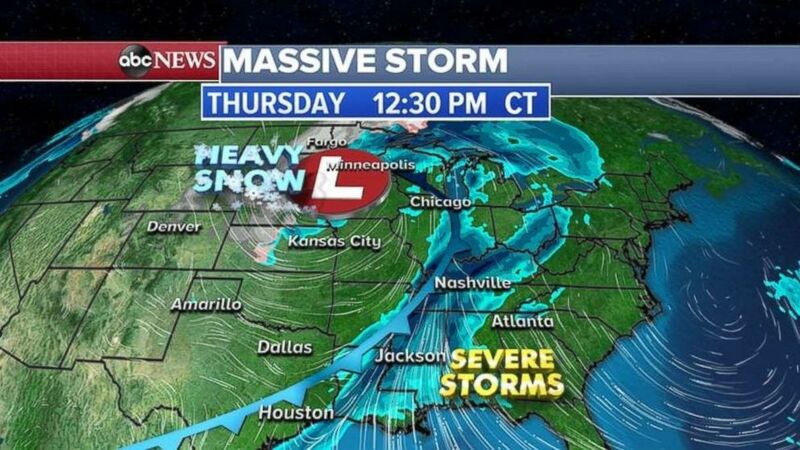 A massive storm developing in the Southwest is starting to head east -- bringing blizzard conditions from Colorado to the Dakotas, flooding to the Plains and Midwest and potentially severe weather to the South. The storm is in the Southwest Tuesday morning, drenching Southern California, Phoenix and Las Vegas with rain. By Tuesday night the storm will move into the central Rockies with a cold front extending into western Texas, which could lead to damaging wind, large hail and possibly a few tornadoes. By Wednesday and Thursday, Colorado, Nebraska and the Dakotas are forecast to see blizzard conditions with strong winds and heavy snow. 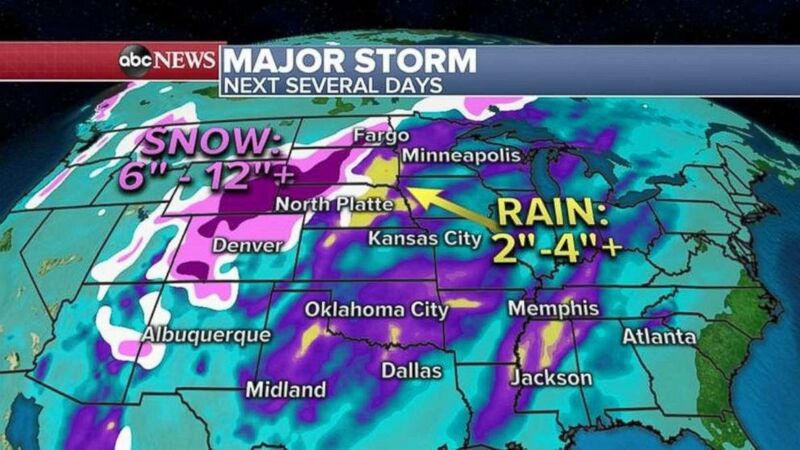 Twelve to 18 inches of snowfall is possible from Colorado up through the Dakotas. Meanwhile, the Plains and the upper Midwest may see major river flooding. 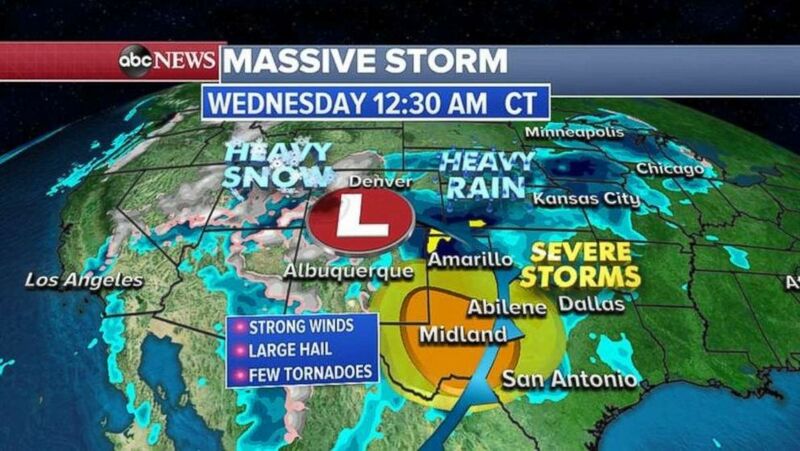 (ABC News) Texas is expecting severe storms beginning early Wednesday. (ABC News) Lots of rain and snow are in the forecast over the next few days. Along the Gulf Coast, where Alabama residents are still reeling from last week's deadly tornadoes, severe storms may bring damaging winds, large hail and possible tornadoes on Wednesday and Thursday. (ABC News) The massive storm pushes farther east on Thursday.